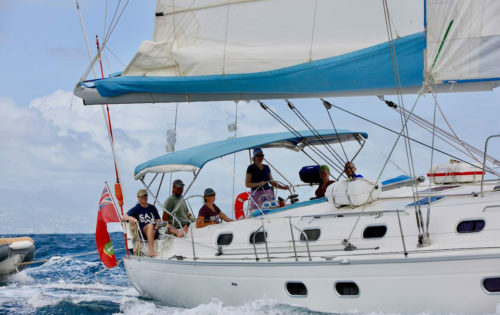 BlueFoot Travel offers cabin charter sailing holidays in the Caribbean. 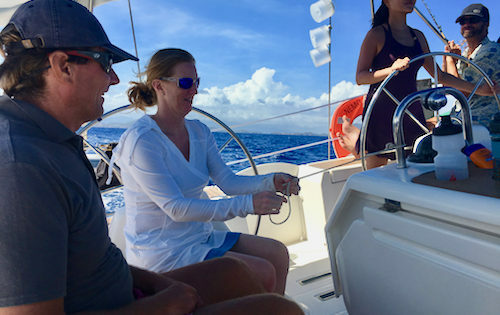 As well as ensuring you have plenty of time to relax and recharge, a big part of joining a charter with us is getting hands-on sailing experience under the guidance of Captain Neil, an RYA Yachtmaster Ocean and RYA Cruising Instructor. Neil revalidated as an RYA Cruising Instructor this week. 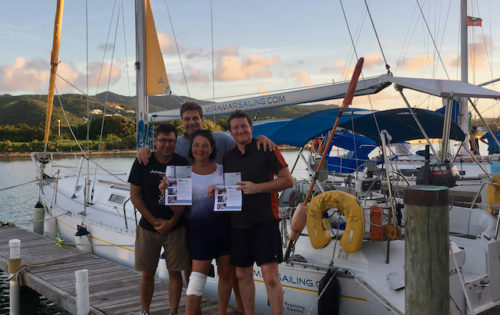 First, though he had to obtain his Yachtmaster Offshore sailing certificate. 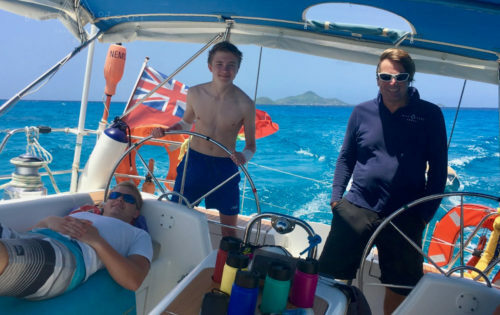 He went one step further and got his Yachtmaster Ocean certificate after crossing the Atlantic Ocean. 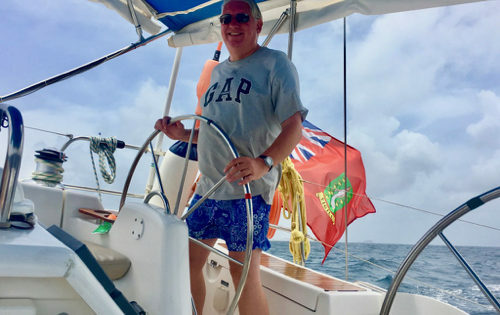 As an RYA Cruising Instructor, Neil is able to teach practical sailing up to and including RYA Start Yachting, RYA Competent Crew and RYA Day Skipper. 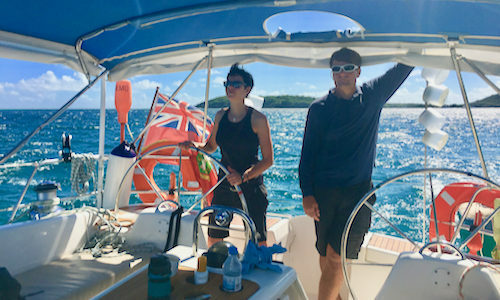 During the summer, Neil regularly teaches in the UK and Portugal (RUSailing) and he also teaches occasionally for RYA sailing schools in Antigua (Miramar Sailing pictured here where Sam also got her Yachtmaster Offshore) and Bequia (Sail Grenadines). BlueFoot Travel is not a sailing school, so we do not provide any certification. However, Neil can provide you with informal sailing instruction, and you can be safe with the knowledge he has the formal qualifications. He inspires confidence, which makes him an excellent teacher and great fun to be around. Are new to sailing. You can, if you wish, learn the basics in a relaxed environment with someone to guide you all the way. We’ll show you which ropes to pull, to hoist and to adjust the sails. You’ll soon be on the helm as Nemo glides effortlessly through the waves. 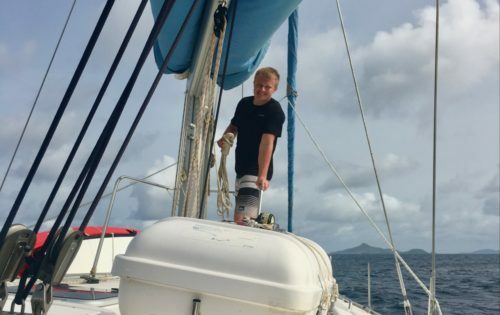 Recently got a sailing certificate and you want to get hands-on experience in new waters. Are thinking about cruising in the Caribbean and want to see what it is like with someone who knows the area. Already have sailing experience. 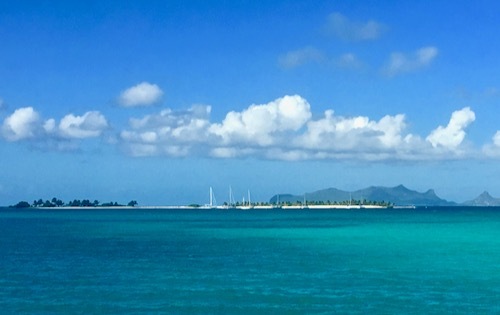 This is the perfect opportunity to hone those skills and build miles in the warm tropical waters of the Caribbean. 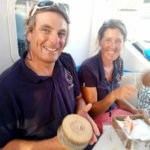 Below deck, the charts are always available for anyone who wants to use them, and Neil loves to discuss all elements of sailing, especially sail trim! “Most “cabin charters” are designed for non-sailors and you aren’t allowed to be actively involved. 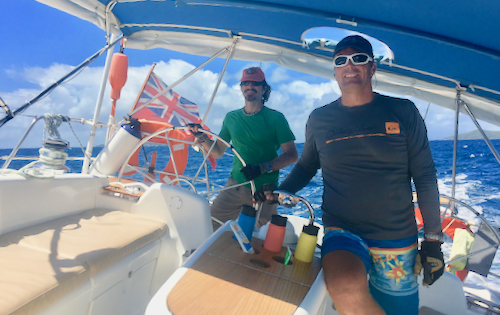 With Sam and Neil, you will be encouraged to helm the boat, trim the jib, raise the anchor, and be an active member of the crew. I’ve searched far and wide for this type of experience, and I can assure you it is rare. As an avid sailor, I can also say that it is a true pleasure to sail on such a well maintained and lovingly cared for vessel. Yacht Nemo is a 51 foot Dufour, that sails well and has generous cabins. 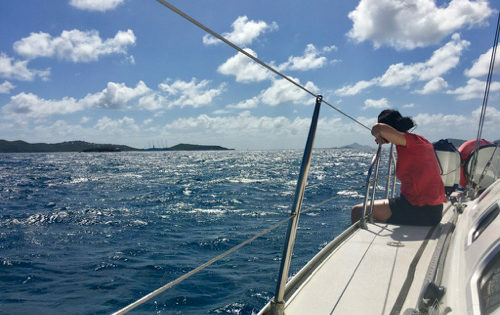 If you looking to experience some hands-on sailing in the Caribbean, then come and join us. Lots more information on our shared cabin charters can be found on our trips pages.